If life had taken a different path, Conor O'Brien might be preparing to face Sligo on Sunday as part of Westmeath's promotion push. Instead, he's part of another team's midfield's plans as Leinster host the Cheetahs tonight. The Mullingar native has been the breakout star of the European champions' season, taking each opportunity that has come his way. At the end of the season, he will be upgraded from an academy contract to a senior deal as reward for his fine form. His success, first with Clontarf and the Ireland U-20s and latterly with Leinster, has been a ringing endorsement of his decision to throw his lot in with the oval-ball game. The pull to Gaelic football was a strong one, his father Garrett captained Offaly to their one and only All Ireland U-21 title in 1988, but the approach to sport growing up was all-inclusive. The Mullingar RFC man was an all-rounder and when the time came to make his choice, there was only ever going to be one winner. He kept the football going as long as possible and Tom Carr even called him in for an All-Ireland MFC quarter-final against Diarmuid O'Connor's Mayo in 2013, despite him missing the Leinster campaign due to rugby commitments. That defeat in Tullamore would prove to be his last outing. "My Dad was big on that from the start, he took me down to everything," he recalls. "It was Gaelic and hurling at the start, then rugby. I played a tiny bit of soccer and I lived beside a horse-riding centre and did that for a year or two - I was mixed up in everything, I used to do a bit of athletics. "It was always GAA was the main thing and then, as I got older, rugby was starting to get a bit more serious when I made Leinster under-age teams and had to make decisions. "It was able to do all of them back then, but hurling was the first to go... I was playing minor football with Westmeath and I was on the Leinster U-18s, training in Terenure over the summer. 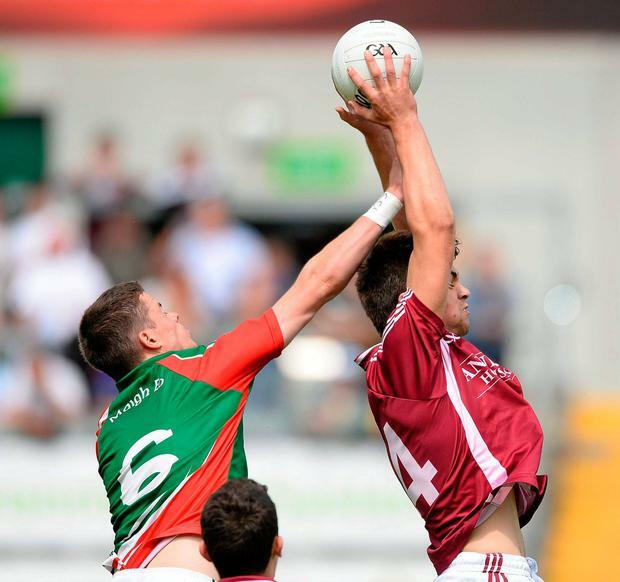 "I was trying to balance those two and it was tough enough to do because I was going into the Westmeath set-up late and then coming into the Youths and training nearly every day of the week. "After that, that was it. I focused on rugby because you go into U-21s (in GAA), you're a senior player. You can't keep both going. I played the odd game for my club (Mullingar Shamrocks), but never with county. "You look down the line with the career aspect and rugby has far greater potential than the GAA. I still love the GAA, but you can't do both." The ability to study while working towards professional sport was key. 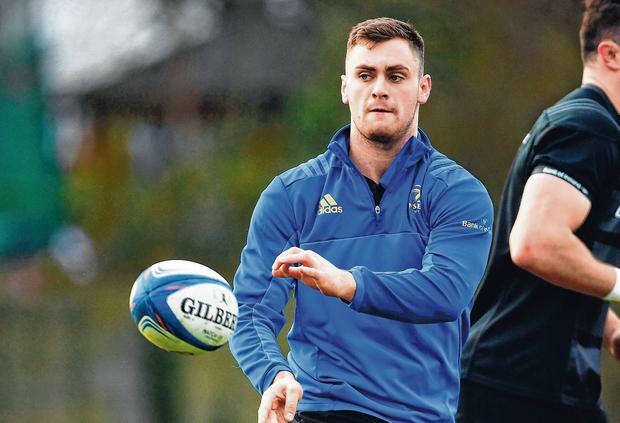 "With Leinster you can go to college as well, get an education and then still get paid to play rugby," the UCD economics student explains. "It's a no-brainer as opposed to playing GAA, getting involved with your club, coming back up and playing with your university; going home to play with your county as well. "Their system, everyone knows it needs to be re-jigged. "Being in Leinster, you're training just with them. You're able to go to college after... you've got a career to fall back on - it's just a no-brainer." Injury disrupted his initial progress, but he managed to time a run of form and fitness to be part of Clontarf's All Ireland League-winning side alongside Joey Carbery in 2016, before playing a part in James Ryan's Ireland's march to the U-20 World Cup final that June. Seeing his former team-mates go on to play for Ireland is an inspiration. "Everyone deserves what they've gotten. Looking at Jacob Stockdale, James Ryan, Andrew Porter... these guys deserve to be there," he says. "They've shown their class. You look at those lads and think, 'I can get to that level'. There's a benchmark there. That's where I want to be one day." He's on that path now, but he admits that Leinster can be an intimidating place at first. "I probably took a little longer than other lads to settle in, but I'm much more comfortable now," he outlines. "It was (daunting) at the start... Johnny Sexton, Seán O'Brien, all these guys who you looked at on the TV growing up on a Saturday after rugby training. You go in and you start to train with them; you're in awe of them. You have to quickly forget about that, get on with it. "Felipe (Contepomi), he was a Leinster legend. You're getting the best advice in the world off him, Stuart Lancaster, Leo (Cullen)... every day you learn new things. "They're really good at saying if you make a mistake to forget about it. Just try and make the right decisions and if it doesn't work out fine, you made the right decision. Go with it." His debut came last season against Glasgow and it didn't go to plan, but at the start of the current campaign he decided to see where he stood with Cullen. The instructions were simple: stay in the game for 80 minutes, get your hands on the ball. The next time he was picked against Benetton he took his chance and he hasn't looked back. "Good form speaks for itself. If you're on a good streak you need to ride the wave. I'm a big believer in that," he says. "Felipe always talks about doing your role, being a cog in the wheel, not trying to problem-solve on your own - just doing your job for the betterment of the team. "You're never safe. Even the top guys, you're never just sitting back. Everyone is constantly down each others' throats, it's such a professional environment and that's why we're successful."